Last week, I shared my thoughts about different oxygen options to use at home. This week, I’d like to pass on what I’ve learned about different types of portable oxygen possibilities to use away from home. The suggestions I’m sharing are based on my own experience, and I realize they may be incomplete. I’d love to get your input on this topic! 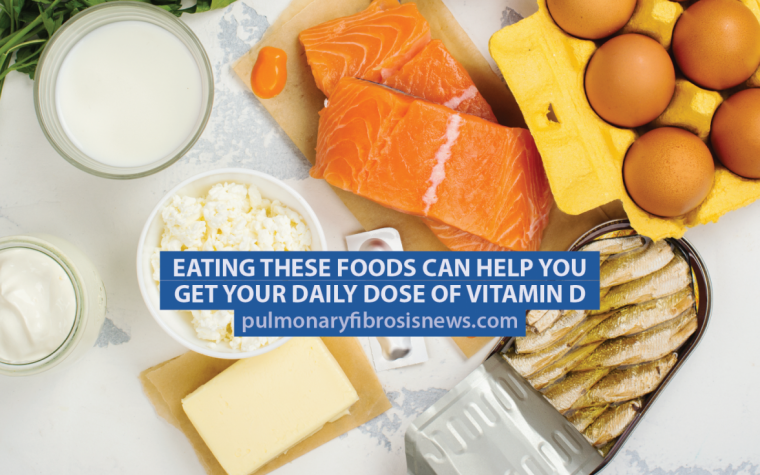 Please note that a doctor’s prescription is required for supplemental oxygen. You can safely use oxygen away from home via cylinders of compressed oxygen stored in steel and aluminum cylinders. The top of the cylinder has a place for a “regulator.” This is a device that regulates, or controls, the air flow coming from a O2 cylinder, usually between 1 and 15 liters per minute. Your oxygen provider will deliver the amount of “E” or “D” tanks, or cylinders, you need on a weekly or biweekly basis. The portable tanks must be replaced when empty. The “E” tanks are heavy, about 15 pounds, and most people push them around on a cart. Gas cylinders must be handled and stored carefully at home in a rack (see photo). Be very careful when transporting cylinders in your car. The Department of Transportation advises that they be stored uprightly with great care. Many cylinders contain pressures that are in excess of 2,000 pounds per square inch. A broken valve is all it takes for the cylinder to turn into an unguided missile. No one explained to me the care necessary when transporting oxygen. When I first started using oxygen, I had an extra cylinder in my trunk secured to a heavy box. My husband and I went to visit our son, who just gotten his Ph.D. in physics. We opened the trunk and he saw it, and freaked. He said if the valve were broken in an accident, the tremendous pressure in the cylinder would have turned it into a missile and it would have plowed through the car and anyone or anything else in its way. He refused to get into the car until we moved it to the backseat, upright and secured to the seat with two bungee cords. He asked me, “Have you ever noticed that O2 tanks in the hospital are chained to the wall?” I said, “Yes, I thought that was strange and wondered if they were afraid people would walk off with them.” He went on to say they were chained so that, in case a valve broke, the tank wouldn’t shoot through the room hurting people. Wow … not one doctor or oxygen provider ever explained this to me. Scary! 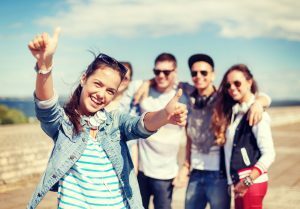 There are several reliable portable oxygen concentrators (POCs) that allow you to leave your home to work, enjoy recreational activities, and travel. I won’t be covering all of them, but will share a few here. I am not endorsing any, but am sharing in part from my own experience. There are two main types of POCs. Some provide a continuous flow of oxygen, and some deliver oxygen in a “pulse” — or puff of oxygen — as you breathe. These portable units are able to produce up to 3 liters per minute of oxygen delivered continuously. Continuous flow is for those who need a small amount of oxygen when walking, or up to 3 lpm while sitting still or sleeping. There are several types of continuous flow units available on the market (Sequal, Respironics, Devilbiss, and Oxlife, Inogen and Invacare). Most of these POCs deliver both continuous flow and pulse oxygen. I encourage you to research the different brands available. If you are planning to use your insurance rather than paying out-of-pocket, your insurance company will limit which models are available for you to choose from. These portable units deliver oxygen intermittently, and go as high as 6 lpm. 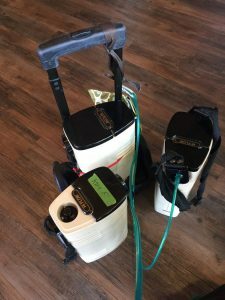 Keep in mind that there is a difference between the lpm on a portable oxygen concentrator (POC) and a system that delivers oxygen continuously. The portable concentrators give a puff of air when you breathe, as opposed to oxygen being delivered continuously. That means 6 lpm on a POC is not as strong as 6 lpm being delivered via gas, liquid oxygen, or a continuous flow concentrator. Please see the video below, where I demonstrate how this pulse machine works. These pulse dose machines run on AC, DC, and battery power. When I was using one of these machines I always made sure I had plenty of extra batteries with me and a cord to charge them. This is especially true when flying. These are the companies that I know of that make these pulse dose POCs: Airsep, Lifechoice, Inogen, Invacare and Sequel. As I mentioned in my last post, liquid oxygen is usually used by patients who need a higher flow of oxygen. 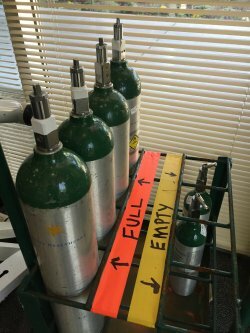 Besides using liquid oxygen at home, patients can also use it away from home by using portable oxygen containers or “strollers.” These portable units are filled from the large liquid oxygen tanks that are delivered to your home. Please see the video below to see how my husband, Dave, fills them for me. Once I started using 7 liters per minute I found it much more difficult to go out and about. 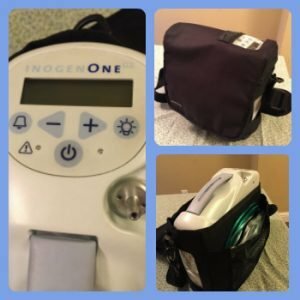 I was unable to physically carry the amount of gas cylinders I needed to go to the doctor and run errands, and my portable oxygen concentrator (Inogen G2) that went to a 6 pulse was no longer enough for me to use when walking. By contrast, the liquid oxygen portable stroller was able to hold more oxygen than the gas cylinder and weighed half as much. Having two or three of them with me when going out solved my problem. I also have a smaller tank in my car. My oxygen company provides me with strollers by Caire that delivers liquid oxygen between ½ – 15 lpm. This system will last quite a while, even as my pulmonary fibrosis worsens. I still keep my Inogen G2 portable oxygen concentrator in my trunk as an emergency backup just in case I get delayed or run out of liquid oxygen before I get home. I’ve created a video to show you my Inogen G2 portable concentrator as well as my portable liquid O2, so you can see up close what the options are. I hope it is helpful to you. I’d love to hear from you! What was helpful for you about this post or video? What other experiences using portable supplemental oxygen can you share with us? Tagged gas supplemental oxygen, Idiopathic pulmonary fibrosis (IPF), interstitial lung disease, living with IPF, Lung Diseases, portable liquid oxygen, portable oxygen concentrator, portable supplemental oxygen, video about supplemental oxygen. Hello and I would like to say that I am on 5 litters per minute,on a c tank, but earlier I the year my doctors switched me over to the continuous machine,but it was giving me major issues. It was running hot a lot and even shutting down on a full battery, so he switched me back to the c tanks and I have a lot of weekly appointments and I agree they are a pain to carry back and fourth. I like the tanks better though, although I have to take extras, because sometimes the oxygen tanks are delivered empty due to Lazy workers. Hopefully I’ll be getting on the transplant list because I am in need of a double Lung transplant I am 46 years old and praying for a cure as well. Thanks for sharing. Hi Shavonne…Thanks so much for your comment. So sorry the continuous machine didn’t work for you. You sound like you are making the tanks work for you. Good for you! I’m so glad you’re on the transplant list…sending well wishes and prayers your way. Shavonne… Since you say your continuous was shutting down on “battery” that tells me you were not on an at home “electric concentrator” but were on a portable concentrator. The portable concentrators don’t go above 3 lpm on continuous flow – only on pulse tone. Pulse tone is typically not enough for those requiring 5 lpm. For at home use, an electric concentrator is what you would need. And since you are already on 5 lpm, your doctor would prescribe the 10 lpm machine for you in the event that you need to turn to a higher liter flow. Great Comment Taleena, thanks so much for sharing this great information. HI Shavonne. When I came home from the hospital I had the same thing with the portable machine shutting off on its own. I was frustrated. Then when the O2 supply company came to set me up at home, they said I was in a minivan, and as weird as it sounds, there is a setting on the machine I needed to change and it would have worked fine. So if in that situation again, check to see if there’s a setting for what vehicle you are in, and maybe changing it over will work. Best of luck to you. Pulmonary problems are really the worst! I don’t know what we’re going to do when my husband goes on oxygen too, we’ll need a bus. my husband has IPF and we find about 40% of the tanks delivered are empty. some are empty after 10 minutes. Thank you as we were beginning to think we were crazy, as the oxygen company sure reinforced that concept. My husband is currently being evaluated for a double lung transplant. The exercise at PT and the medicine help a bit. All I can add is God Bless. I’m on a concentrator at home. It has a fill system on top to fill tanks to take with me when I go out. It works with C and D tanks. Works good for me for now. If I have to go up in flow, I may have to go another way. Thank you so much for sharing this information. 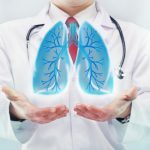 My husband has IPF and every bit of information we can get helps. Bless you and keep in touch. I’m so happy this was helpful! Your hubby is so blessed to have you by his side. Yes, let’s keep in touch. Many blessings to you as well. Thank you Shavonne…I wish you the very best too! Great video for all they are new to the PF world. I would like to know how you “fought like a dog” to get the oxygen. My BC/BS thinks it is a luxury to have a portable anything and is always denied. I’m so glad the video was helpful for you. Yes, we need all the help and information we can get. I’m so sorry you’ve had this response from your insurance company. My insurance company actually said yes, it was the oxygen provider I had to fight with. I got my doctor to write a letter saying liquid oxygen was essential because I used too high a level of O2 (8 lpm) to use a portable oxygen concentrator any more, and I wasn’t strong enough to cart around enough cylinders on my own. He said I needed portable liquid O2 to get to doctor’s appts and pulmonary rehab. Even after all that they said no. I then told them that I would not give up, and we could do this the ‘easy way’ or ‘hard way.’ I told them I had successfully sued the US government when I was rear-ended by a US mail truck 15 years ago, and my next step was to file a lawsuit against them. They brought the liquid oxygen the next day. I’m glad I was successful, but it is horribly wrong that any of us should have to fight for oxygen! When I was first diagnosed, my first insurance company wouldn’t pay for oxygen at all, because it wasn’t on the durable medical equipment list in my policy! I had to pay myself and it was horribly expensive until I could switch to a new insurance carrier. Sending a prayer that your insurance company will reconsider. If you haven’t yet, file a complaint with the insurance commissioner in your state and/or the state board of managed care. I too, had difficulty getting liquid oxygen (LOX) though 2 different pulmonologists talked to my supplier. It took 4 months of tracking down and contacting the company president. A side effect of Obamacare was funding cuts to Medicare. Reimbursements to Durable medical equipment suppliers were reduced and it is almost impossible to make a profit on LOX. (or so the techs tell me.) IT IS WORTH THE EFFORT. I can get by with pulse or demand if I’m sitting doing nothing but I need 4 LPM continuous for walking or physical activity(and 2 LPM for sleep). A D gas cylinder will last about 20 min at this rate, a Marathon LOX dispenser (BY coincidence it weighs 5.8lb full, the same as a D cylinder) lasts a couple of hours and can be turned down to “demand” if you are resting. Please note that “pulse” flow is not the same as “demand” flow. “Pulse” is a fixed amount (bolus) of oxygen that is delivered when you inhale. The amount can be found in the manual. “Demand” flow is defined by the regulator in LPM and every inhalation delivers at that rate. Be very cautious about buying a POC. Read the manufacturers’ manuals, available on the net. Most salesmen do not tell the truth. The pulse settings on the machine DO NOT correspond to LPM. If you don’t take care you can end up with a very expensive doorstop. Thanks so much for sharing your story. You and I went through a similar process…having to fight for LOX…and so worth it! I love your clear explanation of continuous vs pulse delivery of oxygen. You are spot on! Appreciate your great information! Loved IT!!! But after 6 months it asnt working. So they came out and took it back to be fixed!!!! said it would only take 30 days Well 5 months later no battery machine only small tanks…. So now I Have to fly cannot use tanks so they sent me out a 20lb 10 yr old rolling portable the size of my carry on!! Help how do I get my 2.5 lb protable back??? Anyone know They cost $2500.00-$3500.00 for new!!! to own why did I and still do pay into Medicare if I cannot get this machine? Hi Rebecca…thanks for your comment. Ugh…so frustrating with your oxygen provider. You may have already done this, but I’d file a formal complaint with the company demanding you get your 2.5 machine back. Note that you re 70, and that the larger portable is too heavy for you to lift in and out of your car. Try to keep moving up the chain until you get a yes. I know it is expensive to buy the machine. I bought mine with a 0% credit card and paid it off over time. I really hope you get one back. It know it makes a HUGE difference. I’m pulling for you! My wife and enjoy traveling, especially on cruise ships. I am on 2L of O2. I get my O2 from the VA. they provide me with tanks and it is difficult traveling with tanks. The provided me with a rental unit concentrator which worked great but was huge and very difficult for traveling. On planes they do nt allow you to run the portable units in flight without special arrangements. the portable was a royal pain because it was large and i had to take it apart to fit into the overhead bin and then put it back together when leaving the plane. I decided to buy my own unit. I bought a small unit that would do pulse and continuous O2. It also has a setting for over night supply. It is made by Respironics and its the Simply Go model. I really like this much better, it will work off home electric, car power and battery. It is small compared to the other one and much easier to move around. 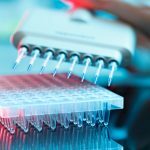 There are a lot of portable concentrators on the market and you need to make sure that if you buy one, it needs to meet today’s needs but also has the capacity for future requirements. Thanks so much for your comment. Your experiences are so valuable to all of us, for what works for you, and what didn’t. I love your comment about planning for current as well as future use when buying a portable (or stationary) concentrator. Excellent info! Thanks! Kim! Thank you so much for this information. I had noticed that my pulmonary rehab sessions were so much more comfortable than my walks around the neighborhood, but none of the rehab folks were able to explain the differences between oxygen delivery systems. This helps so much. I am going to find out if my insurance will cover a continuous-flow portable oxygen generator and then ask my doctor to prescribe it for me. I can’t thank you enough. I’ll let you know what happens. . . I should have explained better — I can use an oxygen tank at pulmonary rehab but use a pulse-flow portable oxygen generator when walking around the neighborhood or at the community gym. I’m so glad my column helped provide an answer to your question. Yay! I’m always hoping to be helpful in practical ways. Great idea to try to get a continuous flow portable concentrator. Please see my response to Gail about my fight to get mine approved. You are worth fighting for…so go for it! Thank you for sharing this info. This was extremely belpful and informative. Elayne…I’m delighted this was helpful. I put a lot of work into it because I know it is all so confusing. Thanks for taking the time to encourage me. Hi I live in U.K.
I’m on 12 litres of oxygen when mobile. I have 3 portable liquid oxygen units to take out. This is the maximum allowed by NHS. Each one lasts approximately 1 hour 20 minutes. I drive and find I need at least 2 litres as I get breathless. Can’t spend a full day out now which is very disappointing. We have to pick and choose what we do. I am on lung transplant list for double or single lung transplantation as I am 57 years old. 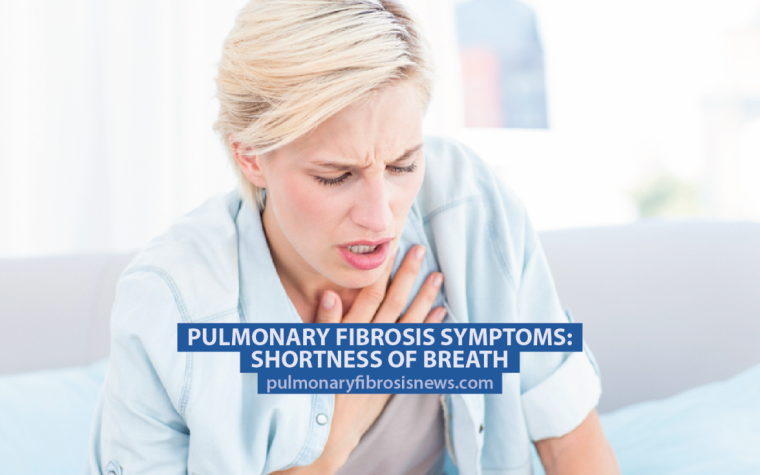 I was diagnosed at 52 years with Idiopathic Pulmonary Fibrosis. I have had numerous problems getting my liquid oxygen sorted for holidays in the Uk. The suppliers vary to different areas and they all have different rules to how and where the big units (dewars) I fill my portable units from are stored. Some say inside some say outside some that they should be stored in a locked shed! When you are renting a holiday property this causes big problems. To top it all what ever we decide by phone with the company can go out of the window once the Engineer arrives to bring them as they have their own ideas! How they make life so difficult when we holiday ! Wish all companies had the same guidelines so at least we would know exactly where we stand. How difficult should this be!! Hi Wendy…thanks so much for sharing about your experiences. It sounds like it is difficult to get oxygen needs met, no matter where we are in the world. It shouldn’t be this way! Yes, it would make such a difference if guidelines were uniform and known. So sorry for your frustrations…so glad you shared with us. Hang in there!! Good morning Kim. I was diagnosed with IPF about 2 1/2 years ago, and so far I am not very bad. I do use 2 lpm most of the time, but not all the time. My O2 stats can drop well below 89% – as low as the 70s or low 80s – when I exercise without oxygen; so I pick it up to 3 lpm when I exercise. I just learned about your column, so I don’t know what you have talked about in the past, but I can pass on a couple of interesting thing I have noticed in my progression of the disease. First, apparently my body (over how many years I don’t know since I don’t know how long I have had the problem before it was diagnosed) has adjusted to the low oxygen levels I have been getting such that I don’t feel any physically differences except that my heart rate goes up. God created an amazing instrument when He created the human body! Secondly, for me altitude makes a very large difference. My O2 stats where I live (in Wawona, inside the southern part of Yosemite National Park) are significantly lower than they are at sea level: At home at roughly 4,000 feet my stats run in the low 90s when i’m at rest, and drop like a rock when I exercise without O2. But at sea level they run in the high 90s, and although they do drop when I exercise at sea level, it is not nearly as severely as at altitude. So altitude makes a major difference to me. Thirdly, I’m sure you must have commented about the two new medications that became available in this Country (USA), I believe in November of 2014. The following has been my experience with one of these new meds that may help some other people in the future. I started taking Esbriet (perfinidone) in July of 2015. They recommended that you start at 3 pill a day and add an additional 3 pills approximately every week until you reach the recommended therapeutic dosage in less than a month of 9 pills a day (around 2,600 mgs). I did that, an although there can be a host of side effects with this medication, I did fine for 3 or 4 months, until all of a sudden a number of those side effects hit me all at once and I had to stop the meds completely. After a couple of month my pulmonologist, Timothy Evens, suggested that I try the medication again. As I pondered this over in my mind for a while, I mentioned the problem to an Nurse Practitioner friend of mine, and she recommended that I start again, but this time at a much slower pace than before to allow time for my body to adjust to the meds. So I started again February 1 of 2016, this time at 1 pill a day, increasing at 1 pill approximately every 6 days until I again reached the therapeutic dosage of 9 pills. And that worked for me; I have not had no further major reactions to the drug. However, I have found that I need to take probiotics every day to keep my stomach happy. Incidentally, as many have commented about, I also had a little trouble getting the oxygen started. I am 76 and on medicare. My suppler, Lincare, is excellent. 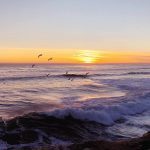 They helped me get started, and since Lincare is nation wide, when I flew up to Seattle the have an office that can help me there – although I have little trouble at this time at sea level conditions. Hi Forrest! Thanks for sharing your experiences with us. I love that you are so in tune with your body and your oxygen levls when at rest, exercising and at higher elevations. I agree with you about God creating our amazing bodies, and our abilities to adjust to changing health, both physically, emotionally and spiritually. Altitude makes a huge difference to me as well. I’m not able to go over 3,000 feet without having to up my O2 levels. It’s good to pay attention to both O2 sats and heart rate in those changing circumstances. Thanks so much for the wise advice about your experience on Esbriet (perfinidone). I’m so glad you were able to figure out a way to get back on slowly, using your symptoms to guide you. I haven’t written about these meds because they are approved for IPF but not PF. My PF developed from a rare side effect from the chemo and radiation I received for breast cancer. I was diagnosed a few months before you, but mine worsened rapidly because of the chemo/radiation side effects. I’m really glad you wrote about this, because I don’t have anything personally to share on this topic. I’m so glad Lincare has worked for you, and that you are enjoying all that life has to offer, as you live with your IPF. I hope you’ll continue to contribute to this column! I have been on oxygen for a little over a year. I found out almost by accident from my Pulmonologist about Oxy-glasses. They are fantastic! They eliminate the tubing on your face. The oxygen is sent through the frame to a canula that goes into your nose. Unless people look closely it’s hardly noticeable. I got my frames from Oxyview and then found an optometrist to do the prescription lenses. They come with clear lenses so if you don’t need prescription lenses you’re all set! I would highly recommend them to anyone! I really can’t say enough good things about them. Hi Sherri! Thanks so much for your comment. I just found out about these too. I wanted to try them but the website says they are best used with an O2 flow of 5lpm or below (I’m on 8lpm). I called to make sure and they confirmed this. They sound wonderful. What is your O2 flow? Thanks for sharing this wonderful invention with us! Thanks for the info on all the portable oxygen tanks as my hubby will probably have to use a higher liter soon with his ipf. This was diagnosed only doing 6 minute walk and. Ct scan. His lung dr really didn’t encourage him to pursue the new meds, just said it was so expensive and costed thousands of dollars. Do you take any meds wth your pf? Thanks. Hi Esther…so glad it was helpful. Pursuing a portable machine, if at all possible is so worth it. My goal is to stay as healthy and active as I can for as long as I can. Being able to go out and about is a huge part of this…especially to still be able to travel. For get what his doc said about pursuing other options. My ins wouldn’t pay for ANY oxygen of any kind when I was first diagnosed. We bought an Inogen G2 (pulse up to 6 lpm) with a 0% credit card and paid it off over time. TOTALLY WORTH IT! 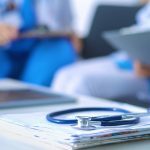 My first doc totally gave up on me, and I switched ins and doctors. Much better now. Yours and your husbands quality of life is super important! The 2 main meds are approved for IPF but not PF. I take an older one, cellcept (mycophenelate) which kept me stable for a while. Not so much now. There is a fair amount of research that says those meds help many patients stay stable. I’d get a second opinion, and/or request to try one of them, if you like. It’s worth a try! But with liquid O2 (LOX) becoming ever harder to get it’s a wonder that you are able to so easily get refills for both large and the smaller bulk tanks. Do you go to them for the small tank or do they come to you? Also, the portable stroller units you have seem to be a much improved version (Inovage?) over what we have here in Denver from Apria…ours fail almost monthly (the gauge/fill indicator) and I’m told are not repaired…not even for a simple button battery change! And that carrier/dolly cart is also a nice size…can you tell where you got it? Lastly, thanks for the heads-up about the portable cylinder “bombs”! One would think there would be a protective “shock collar” or something on them to keep the regulator valve from being damaged since most people just lay them on the back seat or stand them up with nothing more than a seat belt holding them. Again, Apria never told us they were that vulnerable. Hi J.T…it’s great to hear from you. I am fortunate that my oxygen provider (Apria) comes to my home with a big truck every Monday and fills up these tanks. They wheel them outside and fill them up. It doesn’t last quite the whole week, so I use the concentrator 3-4 hours a day and I’m covered. The strollers are made by Caire and provided by Apria. You are right, they are so tempermental. There is always one that is acting up! The cart came with my Inogen G2, but you can buy it directly from them if you’d like at Inogen.com You’re welcome for the news about the potential missiles from the gas canister. It’s nice to have a physicist in the house to let us know. He was very happy to know how many people were helped! Yes, liquid O2 is available in the US. Go to your pulmunologist and ask him/her to write you a prescription for liquid O2, both at home and portable. They will know which company in your area provides it. You may have to fight for it, but it is worth it. Thank you soooo much for the helpful information. I’m on 10 liters and am searching to see whats next for me so I can keep breathing and going places. I ask my oxygen co and they don’t do the liquid, so I’m on the hunt now. I will ask my pulmonary doc today so lets see where that goes. thanks again. I’m ready for the battle for the liquid thanks for heads up. Thanks Kim for all the great information about portable LOX. I’m currently on 8lpm and can’t use my Inogen One G2 POC anymore. So I have a couple of questions. 1. Have you tried an Oxymizer cannula with the portable LOC? I get almost 3.5 hours from the D tank and wondering whether comparable time can be expexted if the oxymizer is used with the LOX cannister. 2. Is there much difference in weight between the LOX cannister and the Inogen 2? I used to hang my POC off the front of my walker in a backpack. Wondering if I could do the same with the LOC cannister.